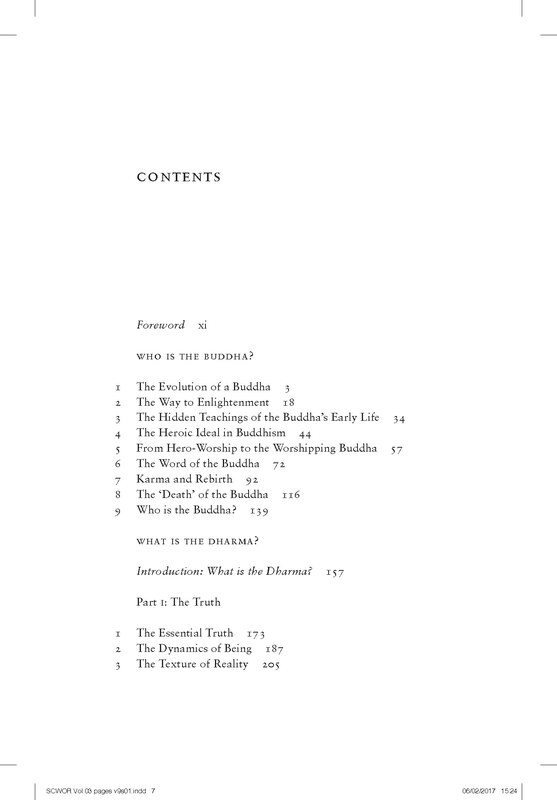 Three much-loved books are gathered in this volume: Who is the Buddha?, What is the Dharma?, and What is the Sangha? 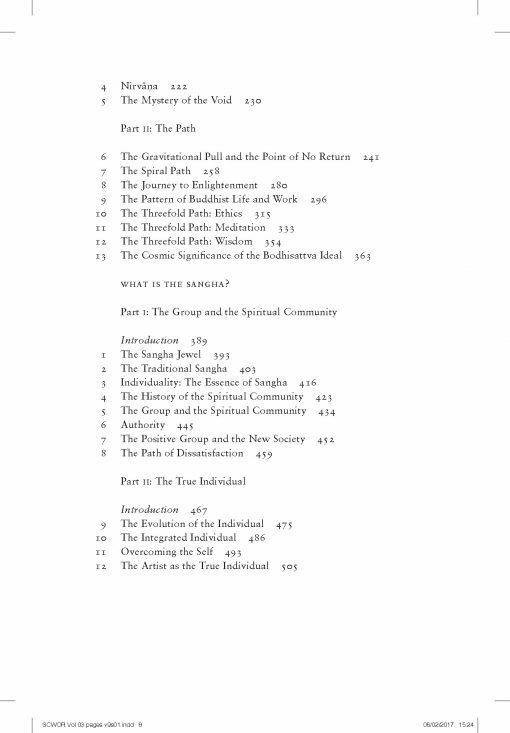 This volume also contains new endnotes, which take the reader to the original sources of the many teachings given in these commentaries, i.e. 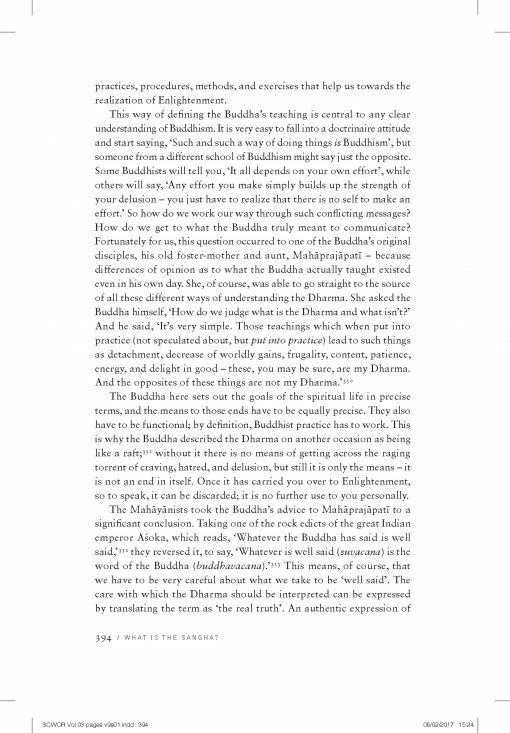 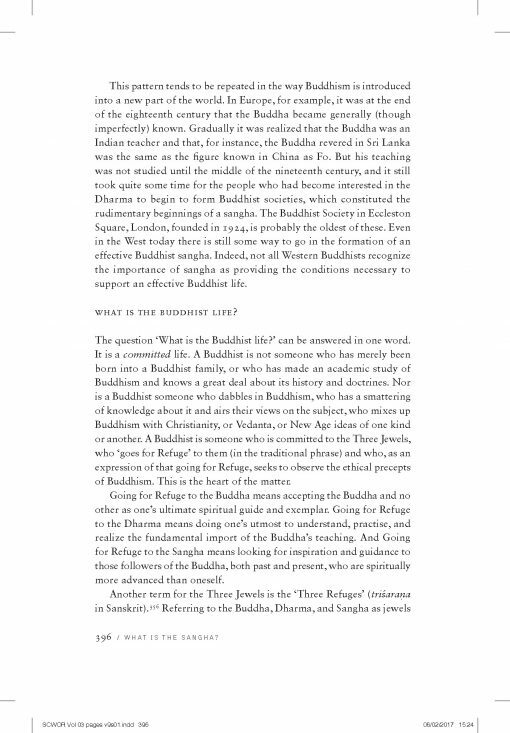 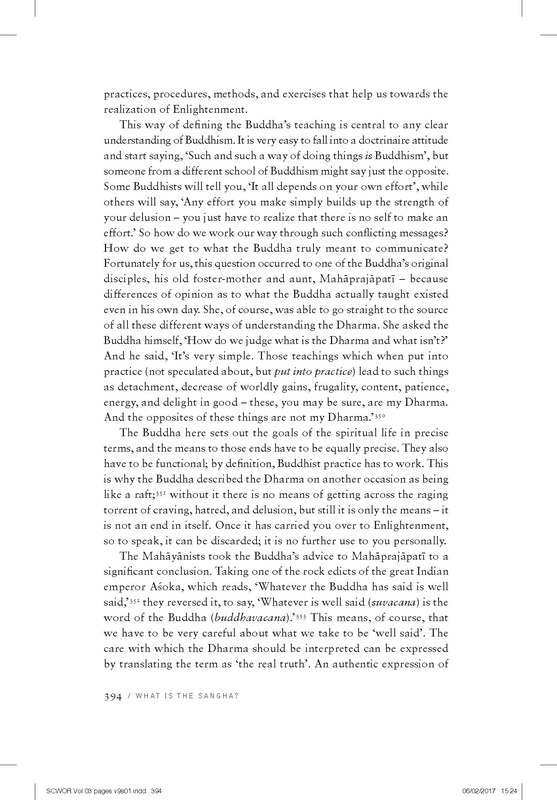 to the Buddha’s teachings in the Pali Canon and Mahayana Sutras. 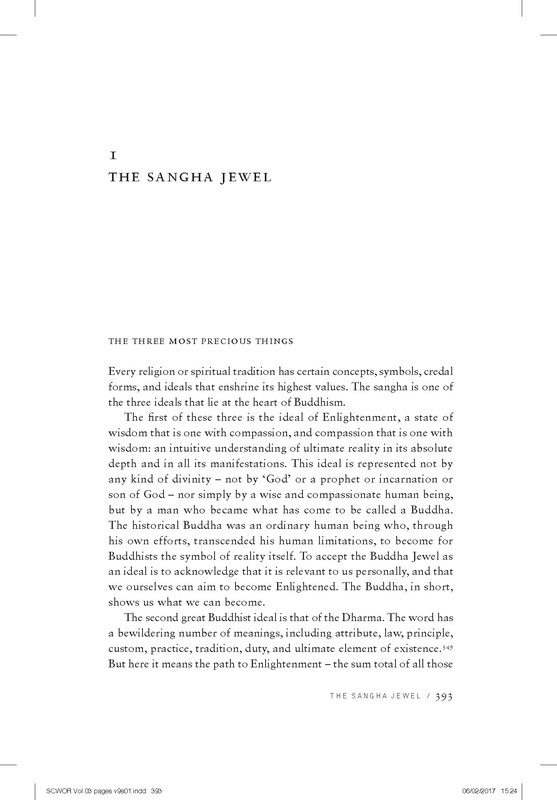 For Buddhists everywhere, the Three Jewels – the Buddha, the Dharma and the Sangha – are at the heart of daily life and practice. 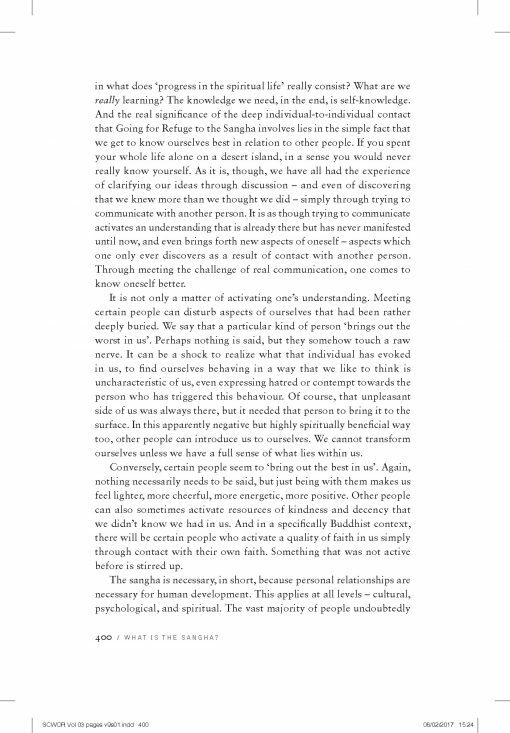 But how can we engage with these precious ideals in a way that makes a difference to how we live? 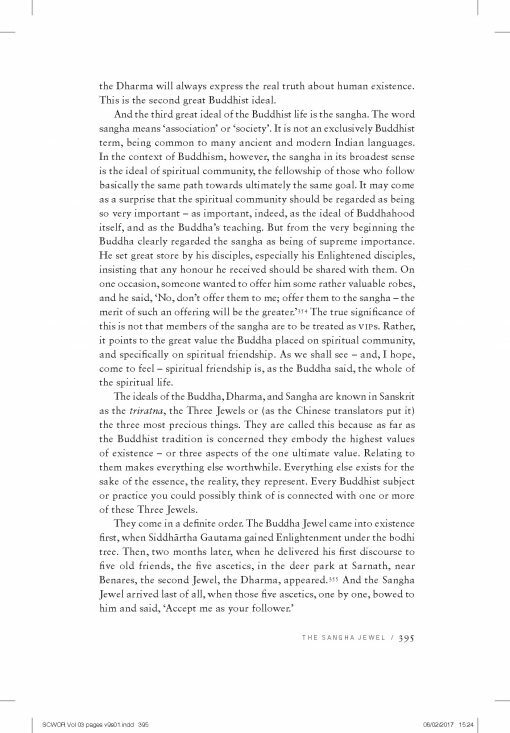 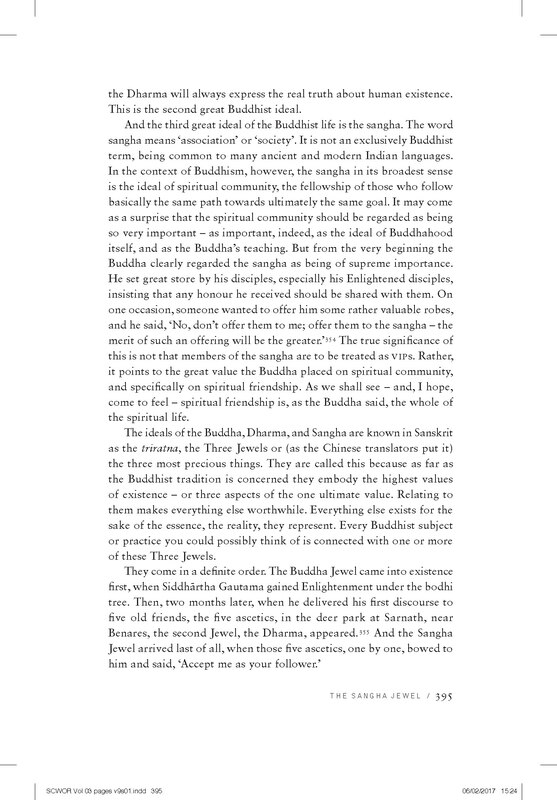 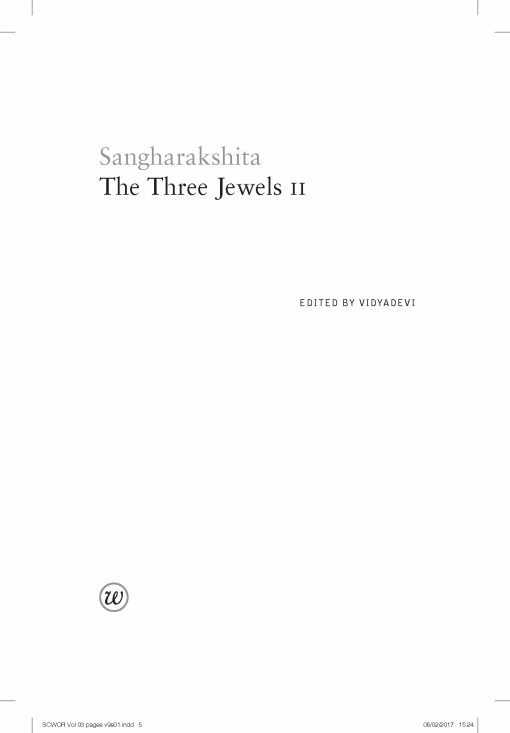 In this, the companion volume to The Three Jewels I, in which the nature of Going for Refuge to the Three Jewels is explored, are gathered three much-loved books: Who is the Buddha?, What is the Dharma?, and What is the Sangha? 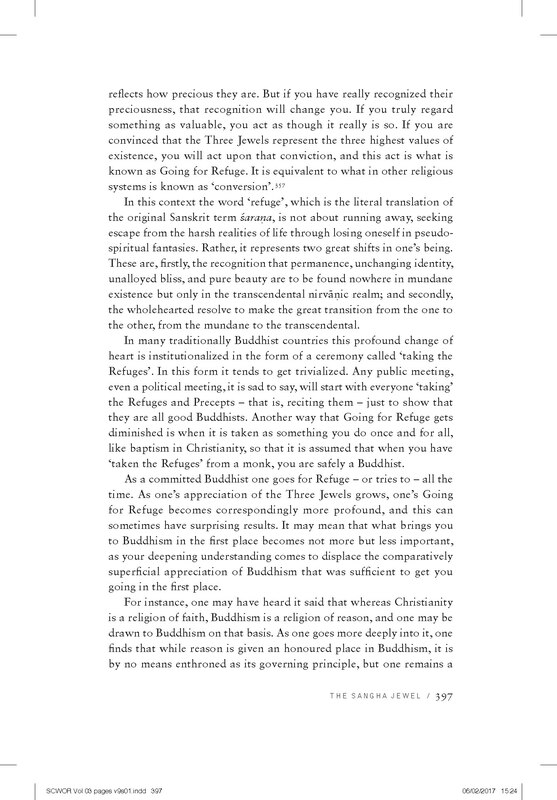 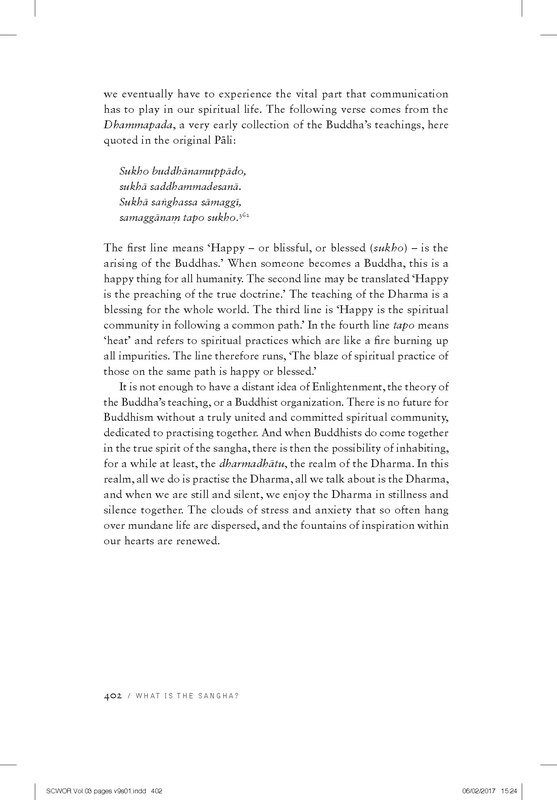 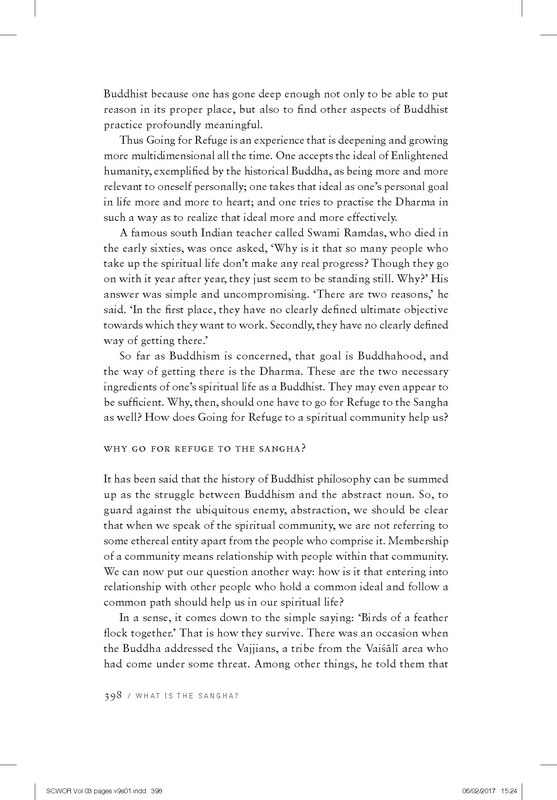 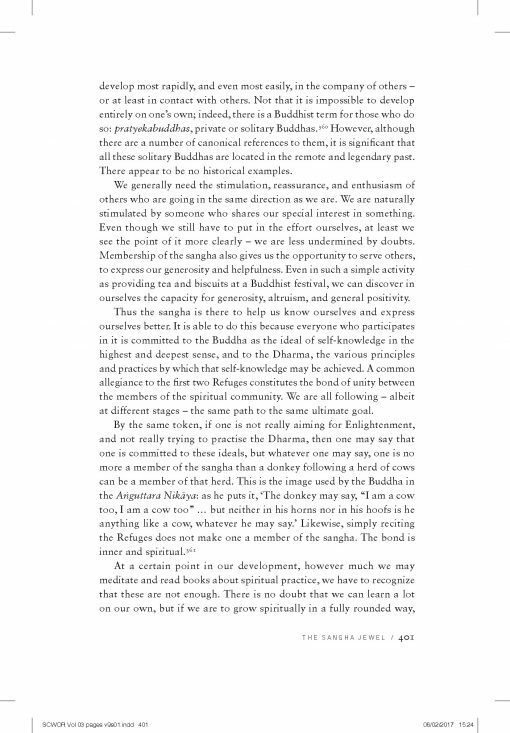 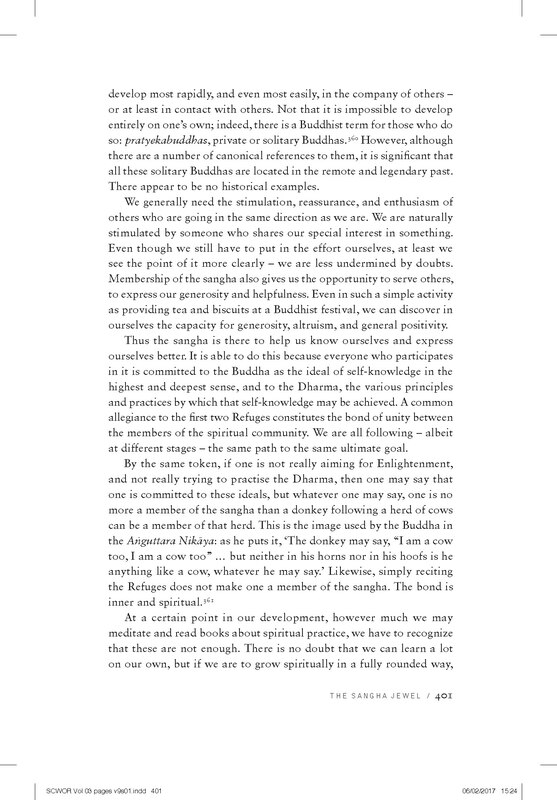 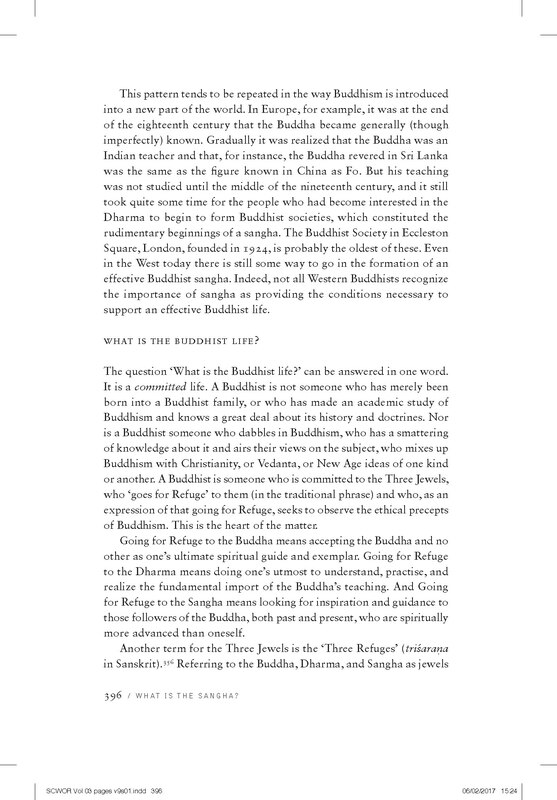 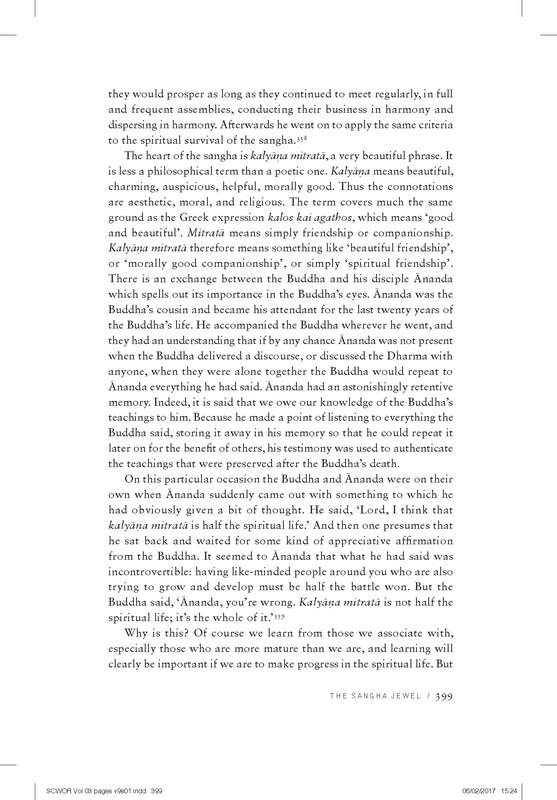 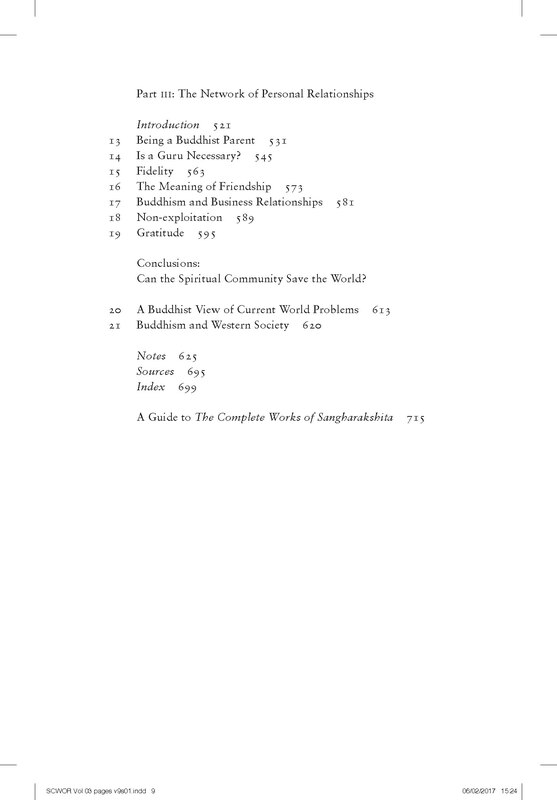 In this volume, Sangharakshita tackles a great range of subjects, offering original and imaginative perspectives on all the topics one might expect an introduction to Buddhism to cover – karma and rebirth, Nirvana and the spiral path, and the nature of Buddhahood itself, as well as clear and pragmatic guidance on matters of personal concern, such as individuality, fidelity, gratitude, parenthood and seeking a spiritual teacher. 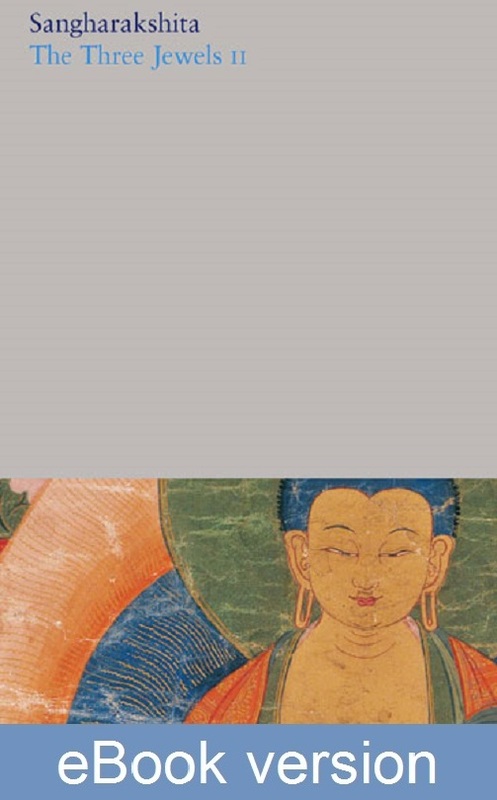 The teachings are underpinned by many references to the Pali canon and other sources, to provide an authentic guide to the Dharma life in all its aspects, and much encouragement and inspiration to live that life to the full.